WF: Thank you for your commitment David, are you feeling good? DF: I’m feeling great, thanks. WF: Your family is currently very proud of you because you became recently POW „Junior Champion“. Can you tell us what that epic win means to you and your family? DF: I’m quite proud of winning my belt, it’s nice knowing I’m POW’s first junior champion, however, this is the first of many championships. My family is quite happy that we have a Finlay that is a champion again. 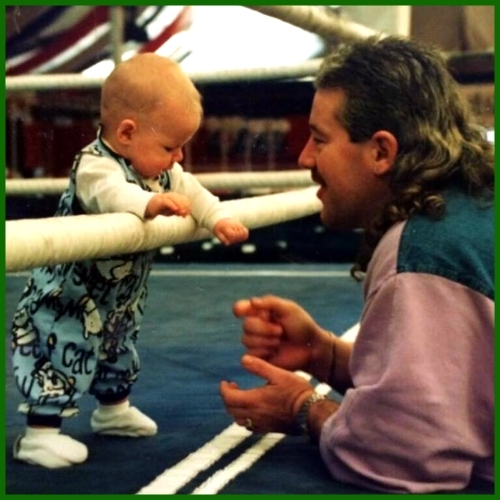 WF: We know of course where you come from – was there ever a consideration to take another job or was always clear for you that you will step in the ring? WF: Your family is very religious and I have heard my, that you are a very religious person, too. What is the role of faith in your life, in your environment? DF: I wouldn’t call myself religious, but I do follow the Christian faith. I would say my family and I would be more spiritual. And having God in my life guides me, it really is the center of everything I do. WF: Would faith restrict you professionally? WF: Everyone will talk to you about your father, you also carry his name. Can you describe what a high pressure is on you? DF: I don’t feel pressure. I have quite large boots to fill but I’m confident that I’m fully capable of surpassing my father. WF: Your mother is from Germany. Do you speak our language or do you know only a few words? DF: I was actually also born in Germany, but my German isn’t so good. I can speak enough to get by but I’m much better at speaking English considering I grew up in America. WF: In Hannover your father has already made history, now you too! How do you like the classic orientation (tournament) of the POW? DF: I felt quite at home in POW. When it comes to wrestling, hannover is always one of my favorite places because I’m received so well. WF: Your beginnings on German ground were in Hannover, for another promotion. How were you received by colleagues and fans? DF: as I just said, the fans saw me since day one, it really is home for me. WF: Japan is certainly a topic or – are there any other countries you want to wrestle in? DF: I’d like to wrestle Everywhere I can. I’ve been to South Africa, England America, Scotland, Ireland and a few other countries, and would love to go to more. But Japan is my number one choice. WF: If we are at this point – Are there role models or dream opponents for you? DF: no, I’ll wrestle anybody. WF: You are at the beginnjng of your career and at this point, some rookies are willing to work for free. What do you think of this? DF: I live off of wrestling, I have never worked for free, nor will I ever. By no means am I making millions, but I’m getting enough money to live off of. And my father. WF: If a man is successful as it is your father, you’re hardly see your own home. Could you imagine to wrestle full time? DF: I do wrestle full time and haven’t been home in 5 months. WF: Your father is now inactive but still a respectable and respected man – worldwide! What would make him proud? Is it important for him to see you in the ring or would have any other profession been fine too? DF: what would make my dad most proud is knowing that I love what I do. My dad would support me with anything but I think me wrestling makes him happy. I m the fourth generation in my family to wrestle and my brother and sister are soon to follow after me, the Finlay family is looking to take over quite soon. WF: We wish you much health and happiness – thank you for your time! DF: thank you! Yourself as well! 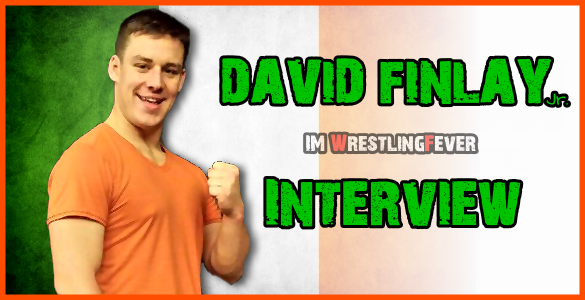 We had also a interview with Fit Finlay in the past! You can read it HERE!